With popular woods like Mahogany becoming ever more scarce, coincidentally as forests are being destroyed, the cost of such preferred materials has skyrocketed (you may question what the real cost is). Is it finally time to look to materials that are sustainable? Should we at last make a major push to be environmentally conscious? And if so, where do we start when it comes to the needs of wood for the construction and furniture industries? 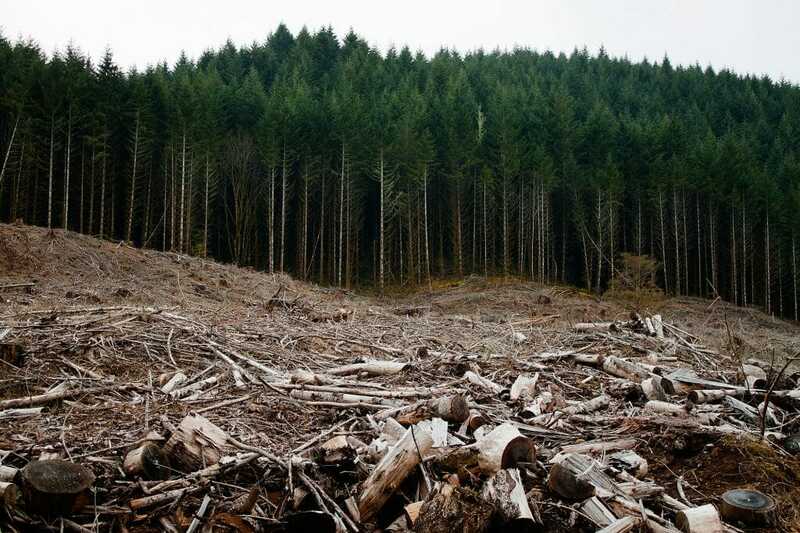 After all, preserving our forests is a priority, but what of the countless jobs at stake? You may not associate rubberwood with top quality wood. It is, however, on its way to becoming an essential material for products that are typically made of timber (such as furniture). If you’re becoming concerned about the environment and the time comes for you to choose a new table and chairs you may discover that rubberwood is your most sustainable solution. Harvested from trees named Hevea brailiensis, rubberwood is also commonly referred to as “Para rubber tree” (rubber tree for short), particularly in the furniture industry. It is a medium density tropical hardwood that is typically light colored. It comes from trees that are grown in rubber plantations. It is often referred to as “environmentally friendly”. This is because the material is considered “sustainable” – meaning that it does not appear to be in danger of severe depletion, a fate many other wood species potentially face currently. 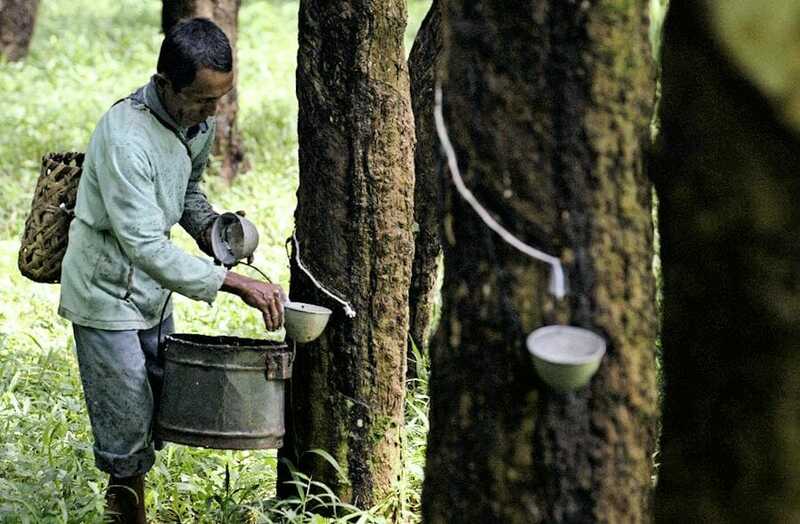 Although primarily native to South America, it is believed that up to 80 percent of the world’s rubber tree plantations are actually cultivated in Southeast Asia while seventy percent of the total number of rubber trees is split among Indonesia, Thailand and Malaysia. The trees from the plantations feature a straight and long trunk and over their lifetime they may grow as high as seventy five feet. In their natural habitat, in the areas they are truly native to, they can tower at as much as one hundred feet! Fully grown, their diameter is approximately three feet. They are often cultivated in densities of about ninety trees per acre. You will find more than 36 million acres of rubber trees in their homes of the tropical regions of Asia, Africa & America. 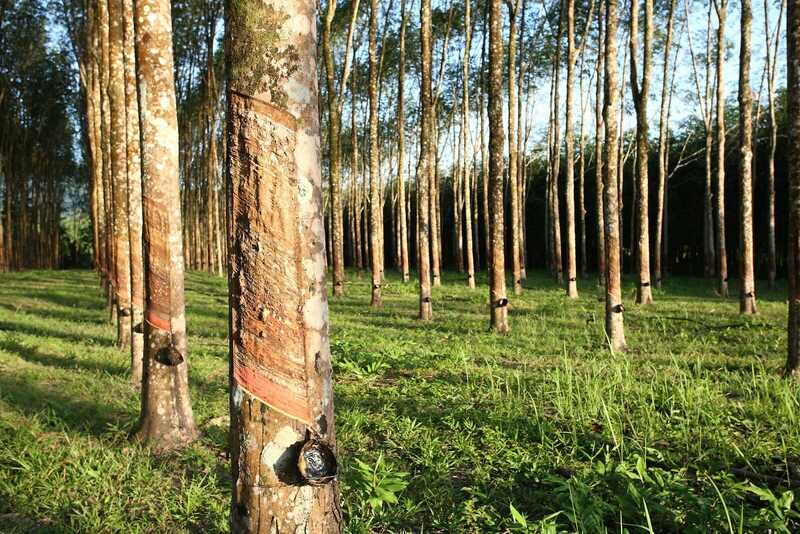 Although their most important export is latex, these mature trees have many uses. 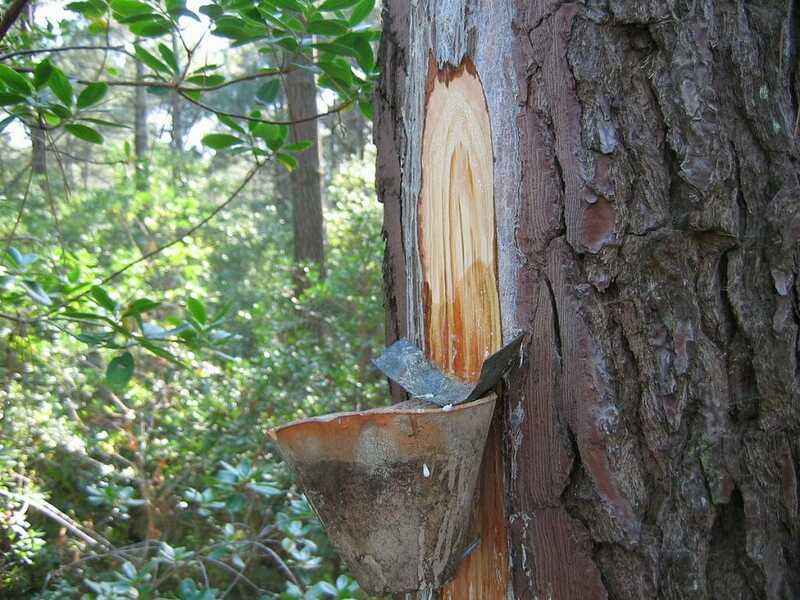 All the rubber needed throughout the world is easily accommodated with mass commercial tapping into the trees. It’s an established industry that puts many cultivators to work, who milk the valuable sap that makes latex. Even though manmade versions of the sap have been developed, the genuine product continues to be preferred and sells well. In fact all of Southeast Asia benefits from the business. Interestingly, if the process is not carried out perfectly, dark stains in the wood can form that reduce the cost of the wood itself dramatically. These imperfections are considered serious defects caused by fungi that were unintentionally introduced to the environment by cutting tools. In order to grow healthily, the trees need well drained soil at a level of 3000 feet above sea level. They also need an additional rainfall of 2000 milliliters at an average temperature of 82°F. Despite other uses, the latex they produce is the most important. Every year the plantations have harvest seasons. It’s not until the trees reach the mature age of 30 that their latex production decreases. In many years past, the trees would simply be destroyed after their sap producing prime. They have since ceased that practice, as new uses for the remaining wood have since been developed. Sure, it can be used to heat the home as firewood, but rubberwood has other practical applications. It is durable and flexible, and resistant to bacteria, fungus or mold. Working with it is easy, and it can be used with most strong adhesives. Most importantly, perhaps, it features a beautifully unique grain pattern that separates it by design quality. 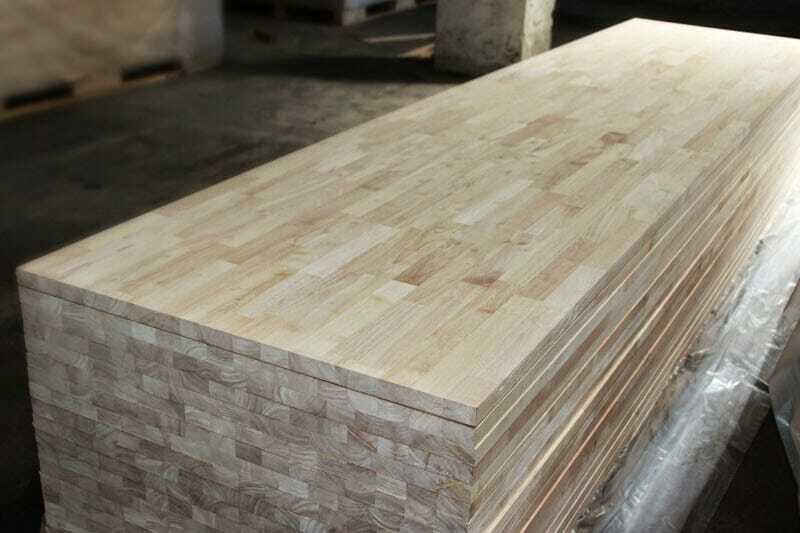 This is partly why rubberwood has been extensively used for furniture, flooring, and construction. Just one tree can provide enough timber to last a long time. The dense grain is perfect for the kiln drying process. In fact, since it suffers minimal shrinkage, it is perfect for toys, accessories or furniture and kitchen materials. You may find that the overall quality of the wood varies throughout. Rubberwood is not best suited for use outdoors. Any protective chemicals within the wood can be washed away in the rain, leaving the material exposed and vulnerable to fungus and insect infestation. Excessive moisture will also have an adverse effect, causing warping of the wood. It should be mentioned that despite the name, it is not rubbery at all. In fact it is so hard it is often compared to Maplewood. It is light in color, however highlighted by narrow brown slithers. Since it is regarded as safely sustainable it has made great inroads, commercially speaking. They serve a wide variety of uses across the commercial markets. Once other tree types have all been cut down, that’s it. They’re done. Rubber trees are always replanted. Look for rubberwood products. It’s nice to know that endangered tree species may have been spared due to the fact the rubberwood is so plentiful. It is used for many high-end purposes because often the quality is considered to be excellent!